If the goal is to socialize ownership of capital, then what do we do with homes? This is a question I get from time to time that is supposed to challenge the viability of the social wealth fund approach. Although it might be a tricky political question given people’s attitudes towards homeownership, it’s not hard to integrate the ownership of homes and other real estate into the social wealth fund model. When it comes to corporations, the social wealth fund approach is pretty easy to understand. One big public fund (or perhaps multiple funds) will ideally own all of the equity of all the corporations. This ownership would allow the public fund to appoint the directors of each company and ensure that the dividends the corporate sector puts off goes to everyone in society rather than to the relatively small number of people who currently own the vast majority of corporate equity. 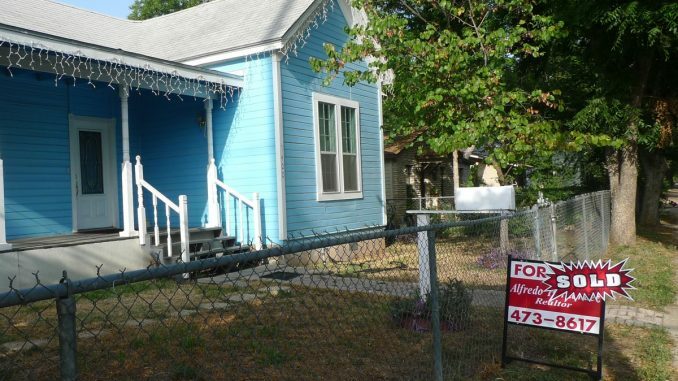 On first glance, real estate seems like it would require a different approach. After all, homes are not corporations and they do not have shares that can be bought and sold. But there is an easy workaround. Real estate investment trusts (REITs) are corporations that own commercial and residential real estate, rent the properties out, and then pass those rents on as dividends to investors. Homes may not have shares, but REITs do. Thus, it should be possible to have a system where hundreds or thousands of REIT companies own and manage the US housing stock while having the social wealth fund own all the equity of the REITs. This idea may or may not be appealing to you depending on your politics, but it is important to emphasize at least that it is possible. Furthermore, I think you can make a good case for why this should be just as appealing as socially owning the equity of corporations. According to the Federal Reserve’s Flow of Funds, the value of owner-occupied housing was around $23 trillion in 2016. After subtracting mortgages, owner-occupiers had around $13 trillion of home equity in those structures. But the value and equity in these owner-occupied homes is very unequally distributed. Per the Federal Reserve’s 2016 Survey of Consumer Finances, the mean home value of the least wealthy 10 percent was $27,902 while the mean home equity of that same group was just $927. For the wealthiest 10 percent those numbers were $793,888 and $616,461 respectively. Put in terms of share of ownership, the least wealthy 10 percent owns 1.5 percent of home assets and 0.1 percent of home equity. For the wealthiest 10 percent, those numbers are 41.4 percent and 48.9 percent respectively. This is better than the overall wealth distribution, but still ridiculously unequal. If all of these homes were instead owned by socially-owned REITs that rented them out to people, what would the net result of this be? Well, just think about it for a second. The REITs would collect all the rents in the country and then, after deducting property management costs, kick those rents out as dividends to the social wealth fund. The social wealth fund would then kick those dividends out to every person in the country in equal amounts. Thus, through this arrangement, people would receive a dividend check from the REIT sector that is pegged to the average rent in the country. Those who lived in an average dwelling would see a lot of their rent covered by their dividend check. Many who lived in a below-average dwelling would see their dividend check cover all their rent. Put another way: this scheme would mean that many people pay no (net) rent! Others will get a big discount on their (net) rent. Lastly, it is also worth bringing in the racial justice angle here because it is uniquely relevant to the homeownership situation. One problem with using homeownership as a wealth-building tool is that the investment return of owning one’s home depends on the race of the person living in it. White-occupied homes appreciate in value at a rate 34 percent higher than black-occupied homes and 54 percent higher than Latino-occupied homes. Thus, maintaining a society that depends on homeownership as a vehicle of wealth accumulation also means maintaining a society with severe racial wealth disparities. Socializing the ownership of homes solves this problem.